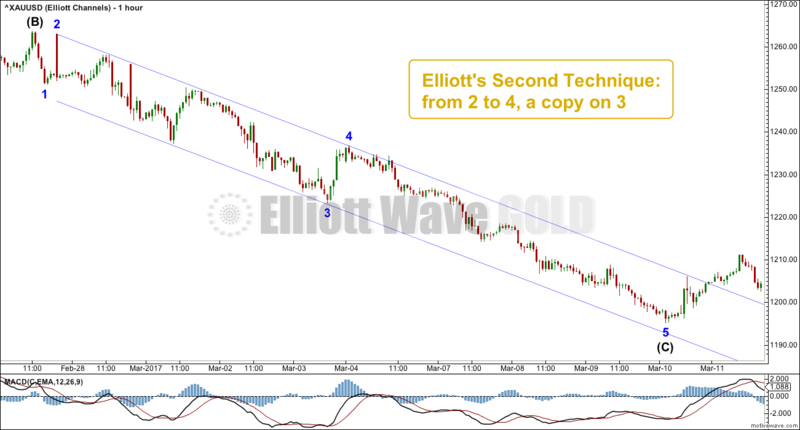 Once enough structure is complete to begin to draw an Elliott channel (about one third to halfway through a wave) use the first technique. 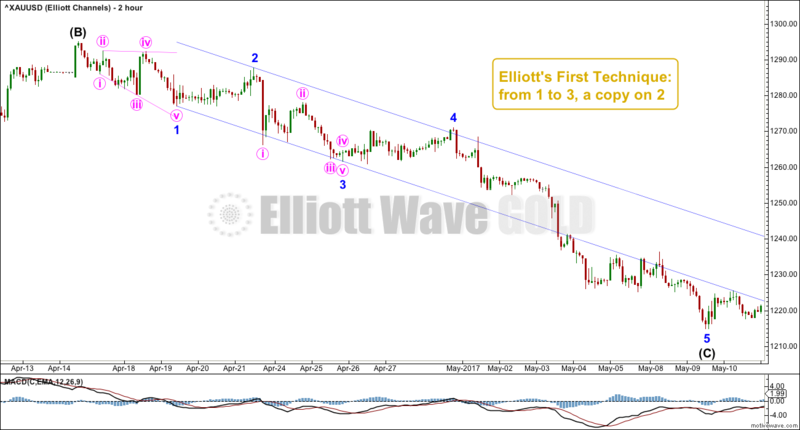 A trend channel drawn using this technique may show where the fourth wave may end. 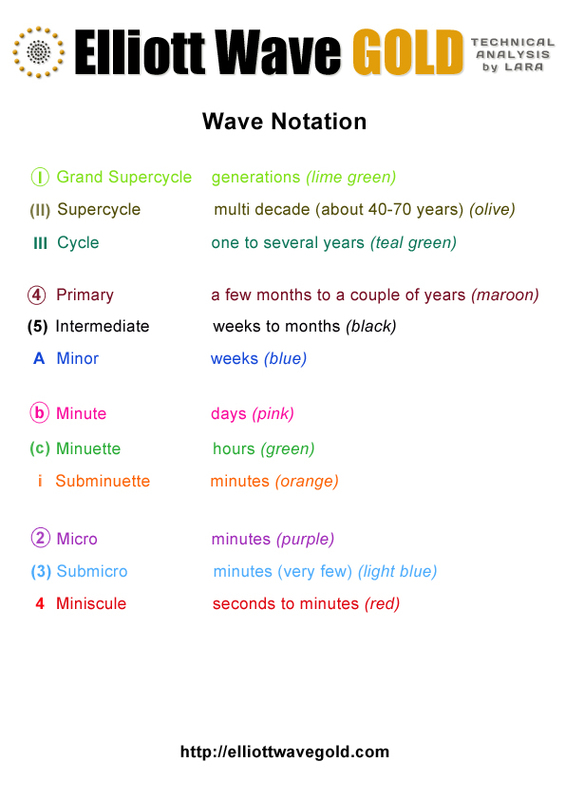 If the fourth wave is contained within the channel, then the fifth wave usually ends either midway or at the opposite edge of the channel. While most markets behave this way, commodities can be different. Commodities often exhibit swift and strong fifth waves which overshoot channels, as in this example. When the channel is breached by subsequent movement in the opposite direction, it indicates the wave is over and a trend change may have occurred. If the fourth wave is not contained within a channel drawn using the first technique, then redraw the channel using Elliott’s second technique. This redrawn channel may show where the fifth wave may end: either mid way or about the side opposite the fourth wave. If the movement is expected to be a correction, then it may be contained within a channel. 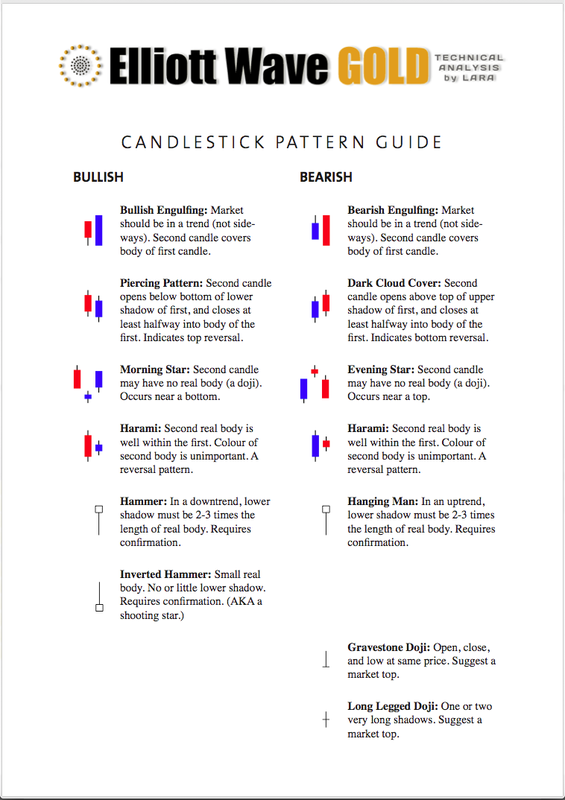 Most corrections are contained within channels, but a few such as expanded flats are not. The channel may show where wave C ends, either mid way or at the edge of the channel. Published @ 06:16 a.m. EST. Will you be doing a separate post for Best Fit and Base channels? Exactly right. Expanded flats just don’t fit into channels well. Combinations often do not either. 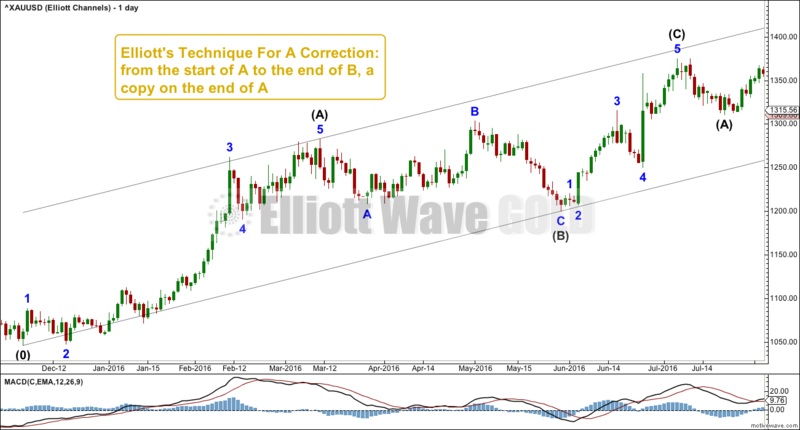 how does the corrective trendline method hold for the current minuette II in Gold? It has not kept within the trendlines as it has breached the upper trendline.